This is the electronics market prediction for Austria, circa 1966. 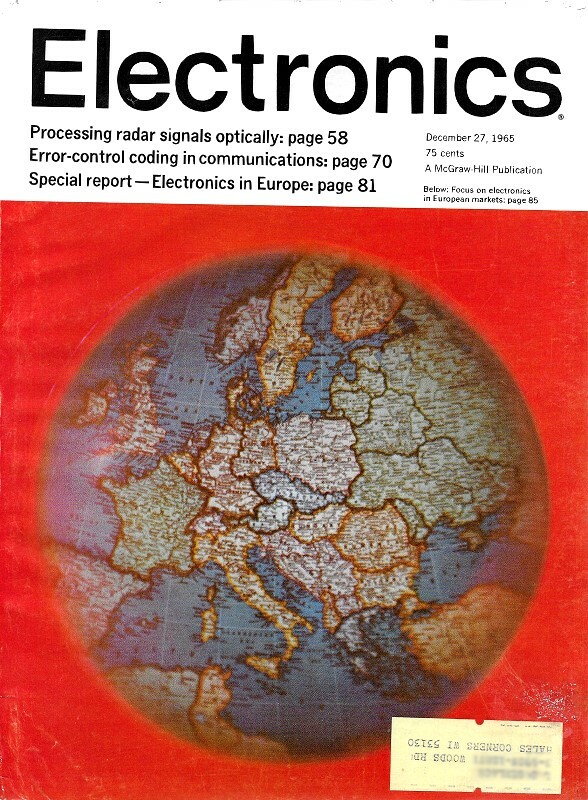 It was part of a comprehensive assessment by the editors of Electronics magazine of the state of commercial, military, and consumer electronics at the end of 1965. Interesting is the comment about Austria importing of computers to be leased to Communist countries in Eastern Europe. It is not clear whether Austria was importing or producing televisions. 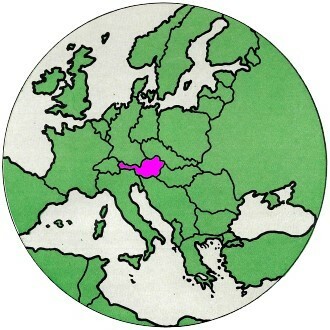 "Invest in Austria" is a contemporary website set up to promote business in the country. Imports are becoming increasingly important in Austria's electronics industry. The country of seven million people is growing in prosperity and becoming a more inviting market as protectionist measures fade as a result of Austria's participation in the European Free Trade Association together with Denmark, Norway, Portugal, Sweden, Switzerland and Great Britain. The consumer market is growing slowly. Sales of radio sets next year are expected to remain at the 1965 level, but the cost per set is expected to increase, increasing the dollar total to $15.3 million from $14 million in 1965. The television market is expected to grow slightly in 1966 from the $12.6-million level of this year. Imports have been making big gains, to about $7.2 million this year 1965 from $1.7 million in 1964. Most imports come from West Germany, Sweden and Denmark. The Postal and Telegraph Administration has expansion plans, but has been hampered by a shortage of funds. It recently bought $2 million worth of coaxial application equipment from Standard Telephones & Cables, Ltd., a British affiliate of the International Telephone and Telegraph Corp.
Another trend in Austria is importing of computers to be leased to Communist countries in Eastern Europe. One Viennese dealer has computers on lease in several Soviet-bloc countries.